Mobi10 is our FASTEST automated testing tool to date. Mobi10 has been developed to reduce testing times whilst increasing the quality of your device testing. With a customisable guided workflow to suit your needs, you are easily able to improve efficiency, remove human errors and provide consistency to your testing standards. 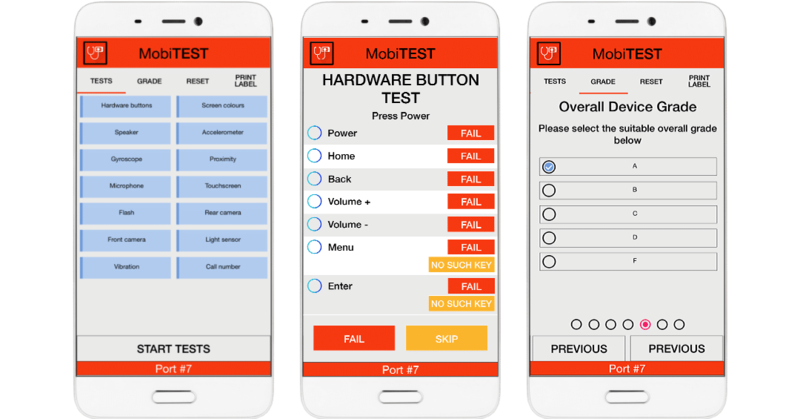 Mobi10 is a PC-based application to deliver a fast and consistent testing process, with bespoke workflow and device grading built in. 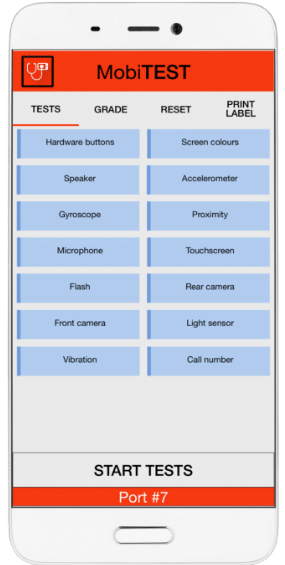 With the fastest guided workflow of its kind, test handsets in under 2 minutes. Connect multiple devices either simultaneously or independently. With various low cost pricing options, you can choose the tariff to suit you. With built in blacklist and activation lock detection, you can protect your purchases. Mobi10 will reduce the handling time of testing and increase productivity throughout your process. The guided workflow also minimises training time. Increase your margin and capacity without increasing your overheads. Our proven and extensive due-diligence service will prevent costly purchasing errors and is complemented by identifying FRP / iCloud/ activation lock issues during the testing process. The Mobi10 application is designed to be user friendly and simple to use. There are many tariff options available to suit your needs: From either simple pay as you go with no commitment, to tariffs with a monthly licence and reduced per click charges. We have a tariff for all users types. Register with us today and see the benefits our Mobi10 software brings.